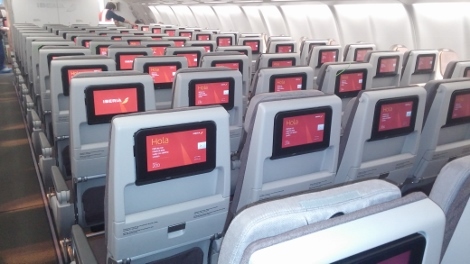 Iberia has taken delivery of the first of its new A330-200 long haul aircraft. The A330-200s will operate on Madrid to San Juan in Puerto Rico (from 15 May 2016) and Montevideo in Uruguay (from February 2016). The aircraft is in a two class configuration (economy and business) with a total of 288 passengers (269 economy and 19 business). 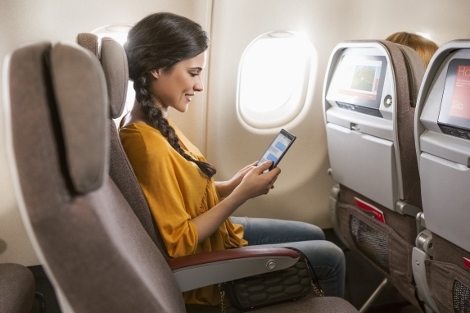 The A330-200s also have new inflight entertainment from Panasonic with touch screens, fast wifi (price depends on route) and a portal through which passengers can connect to the internet using their own devices, or see details about the flight and receive news headlines. To read more about the Panasonic systems see our piece from earlier this year here. The arrival marks the beginning of fleet renewal and expansion for Iberia, with 29 long haul aircraft ordered including 13 A330-200 aircraft (delivery from now until 2018) and 16 A350-900 (between 2018-2021). Next year also makers the opening of a new route from Birmingham to Madrid through Iberia Express from the beginning of the summer season (27th of March). 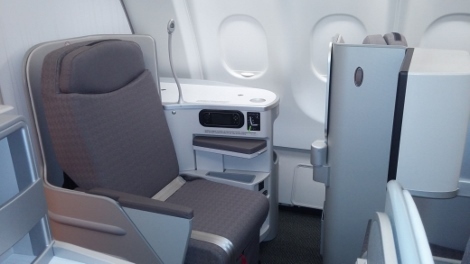 Iberia will also recommence services to Johannesburg in August (see news, December 2015). 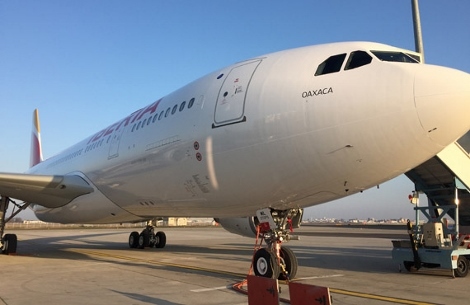 To commemorate next year’s 70th anniversary of Iberia flying to Latin America, the first A330-200 has been named Oaxaca.